On Monday 18 February, the members of Crescamus Lodge and their visitors attended the Lodge’s Installation meeting, where W. Bro. Chris was Proclaimed as Master for 2019. In front of many members and guests, including the new Chairman of the Foundation Club, Bro. Mark Budds, the Immediate Past Master of the Lodge, W. Bro. Bob, Proclaimed Chris as the Master. That being complete Chris then appointed and invested his officers. At the end of the meeting, the members of the Lodge and their guests all dined in perfect harmony, enjoying a fabulous meal and drinking several toasts including to the health of the Worshipful Master. The Brethren enjoyed a special treat as the Secretary of the Lodge treated them to bottles of port to celebrate the occasion. A raffle was held raising £70 for charity, with the Lodge’s guests walking away with the best of prizes! W. Bro. Chris and the rest of the members of Crescamus Lodge will now look forward to the next meeting on 20th May, when they will have another full agenda as the Lodge’s most recent Initiate undertakes his second degree ceremony. The Masonic Charity Foundation has been busy supporting Surrey over the past 12 months and they have just published their first ever impact report. The MCF was established for Freemasons, for their families and for the wider community; for the big issues in society and for the small things in life that make a huge difference. Croydon’s Crescamus Lodge voted at their December meeting to donate a further £3,000 to the Surrey 2019 RMBI Festival. The Lodge has already been presented with a Bronze Award for its efforts and is now closing in on being awarded a Silver Award. Freemasons from across Surrey have been raising money over the past five years dependents raise £3.25 million for the RMBI Festival. The Royal Masonic Benevolent Institution (RMBI) has been caring for older Freemasons and their dependants for over 160 years. It operates seventeen care homes across England and Wales which provide residential, nursing, respite and dementia care for elderly Freemasons and their dependants. We at Crescamus Lodge are very lucky to have two RMBI homes close by in Surrey, with James Terry Court in Croydon and Shannon Court in Hindhead. Finally, for those individuals in receipt of Masonic financial assistance, the RMBI organises annual holidays for over 100 people and provides home improvement loans. On Monday 10 December, Freemasons from Crescamus Lodge, celebrated Christmas at Croydon and District Masonic Halls. In the afternoon, the Lodge initiated its latest member into Freemasonry. The ceremony was special for all involved. Welcoming a new Freemason is always a moment to remember, and this was no different. Our new Brother Simon joined Crescamus Lodge during a lovely ceremony carried out by our Master, W. Bro. Chris, who was ably assisted by his IPM, W. Bro. Bob. He was supported also by his officers and other members of the lodge in a most confident manner. Following the formal Lodge meeting, the members were joined by their families and friends to enjoy a sumptuous four-course Christmas. After the Christmas Pudding was served, we were entertained by the excellent Lynwood Singers, who carolled us with traditional Christmas Carols. The Worshipful Master and Brethren of Crescamus Lodge, wish you all a very Merry Christmas. Croydon’s Crescamus Lodge held it’s annual Ladies Night on Saturday 17 November, returning to the Croydon Aerodrome hotel for the first time since 2014. 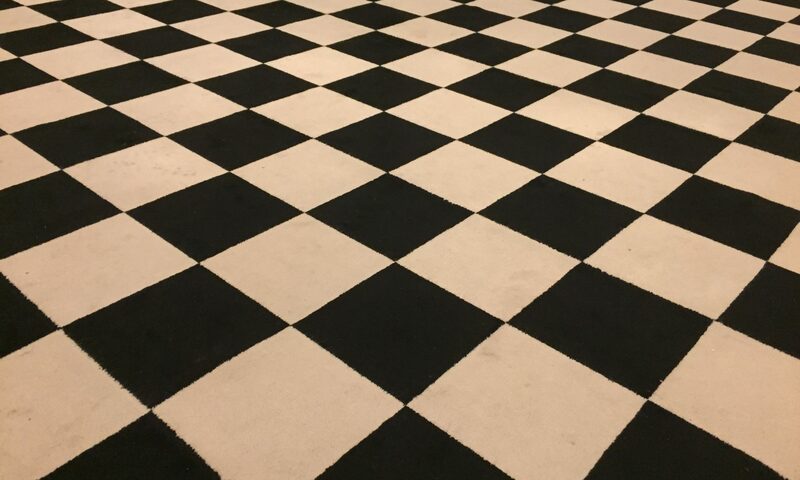 Traditionally Masonic Lodges hold annual Ladies’ Nights to thank their partners for allowing them the time to practice their Masonry and to show appreciation for the women in their lives. However, the Masonic Ladies Night is not restricted to wives. It is also open to mothers, daughters, sisters and significant others. Women in the lives of Freemasons often look forward to this event as it is their chance to catch a glimpse of the world of Freemasons. Ladies Nights are always a glitzy affair; as both the Ladies and Gents get to dress up in their finery. The fancier, the better, and Crescamus Lodges’s Ladies Night is no different. After a great meal, speeches were made toasting the Ladies, and this year’s Ladies’ Night President, W. Bro. Chris, the current Master of Crescamus Lodge. A great time was had by all with a magnificent amount of money being raised for Pancreatic Cancer Action, a charity very close to the hearts of both W. Bro. Chris and his wife Cherie. On Sunday 11 November, Freemasons from across Surrey, paid their respects at local memorials, marking the 100th anniversary of the Armistice that marked the end of the First World War. Freemasons from Crescamus Lodge were no different, with members laying a wreath at Selhurst War Memorial, with one of the Lodge’s Past Masters, W. Bro. Sam, laying the wreath on behalf of Surrey Masons. They were joined by Masons from other Lodges to commemorate those who gave their lives in conflicts since 1914. Following the laying of wreaths a poignant and moving service in memory of the 100-year anniversary of the Armistice was held. The Remembrance Service in Selhurst is a community-led event, with local resident’s coming together to remember the fallen. At Crescamus Lodge’s October Meeting, the Brethren were extremely charitable as they welcomed W. Bro. Paul Wicking, PPGSuptWks, the Official Representative of the R.W. Provincial Grand Master, Ian Chandler. W. Bro. Paul, was treated to a fantastic display of ritual from our Worshipful Master, W. Bro. Chris, as the Lodge demonstrated an Initiaition ceremony. When the ceremony was complete, the Lodge’s members voted to donate £200 to the Alzheimer’s Society. In May, W. Bro. Frank and his wife completed the Isle of Wight Challenge Walk in aid of the Alzheimer’s Society. They walked the first 25km of the Isle of Wight Coastal Path as part of the Isle of Wight Challenge. Their aim was to raise as much as possible for research into the prevention of Dementia, and for people living with Dementia. The donation from Crescamus Lodge members, meant that over £600 had been raised for the Alzheimer’s Society. The Lodge’s Charity Steward then announced a proposal that the Lodge donate £3000 to the 2019 Surrey RMBI Festival, which the Brethren of the Lodge will vote on at their December meeting. The meeting was concluded by the Lodge’s Secretary announcing that the Lodge had a candidate for Initiation, who, therefore, would be joining the Lodge at the next meeting in December. Following the meeting, the members sat down to dine as per Masonic tradition, wrapping up the evening in a splendid fashion, enhanced with the presence of the Lodge’s Official Visitor. A specialist ambulance stretcher has been donated by Surrey Freemasons to The Children’s Trust this month. The equipment will save the charity an estimated £30,000 a year and provide children with severe disabilities more independence and opportunities to go out on trips. The Ferno stretcher was donated to the charity during an official handover earlier this month, attended by Provincial Grand Master Ian Chandler as well as Dalton Leong, CEO of The Children’s Trust. Also in attendance was Angela, a child staying at The Children’s Trust who has been using the stretcher, accompanied by her mum Zarina. While demonstrating how Angela uses the stretcher, Zarina said: “Angela has Type 1 Spinal Muscular Atrophy meaning she has to be transported to appointments, home and to community outings lying down. Before arriving at The Children’s Trust Angela had only ever travelled in private ambulances which was very clinical, and meant that she couldn’t be with her friends. The Ferno stretcher donated by the Surrey Freemasons has changed this. It fits perfectly in the charity’s minibus so Angela can now travel to trips in comfort with other children. She has already been taken to the theatre and to Hampton Court which was very special for all of us.